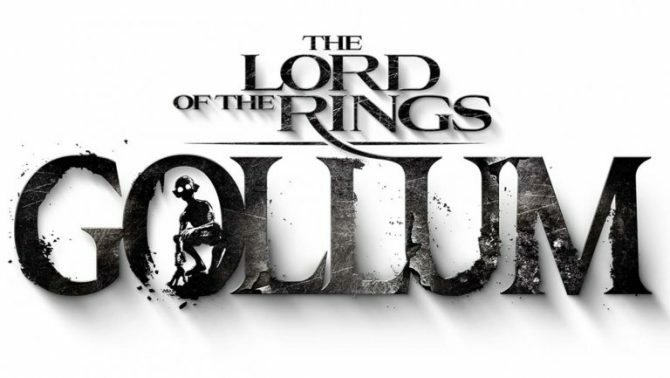 The Lord of the Rings is an interesting license to behold. The story has been adapted so many times and is so highly respected that the slightest deviations from the source material leave the fans in an uproar. 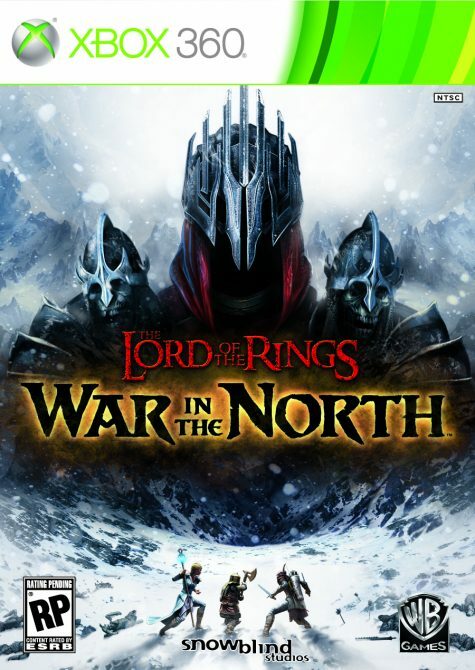 It’s interesting then that Warner Bros decided to approach Lord of the Rings: The War in the North as a side-story taking place alongside the more familiar tale we’re all familiar with from the books and movies. This leaves them free to change things up, though great care must still be taken to not deviate too much from the core series. To that end familiar faces and names show up, though their impact on the game varies. The results are interesting to say the least. 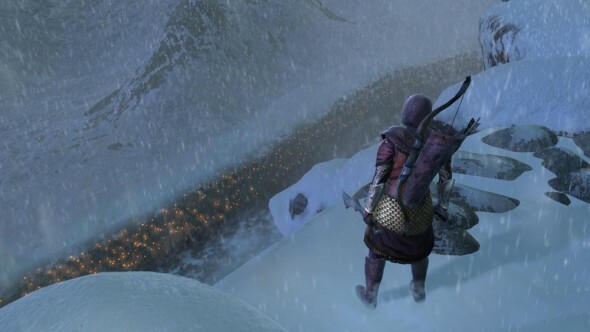 War in the North markets itself as an action/RPG and, while that’s a pretty fair assessment, the game feels a little bit more like an old school dungeon crawler than anything, which is very interesting. As the game begins you’re dumped in the middle of town in the famous Prancing Pony, speaking with a familiar ranger going by the name of Strider. 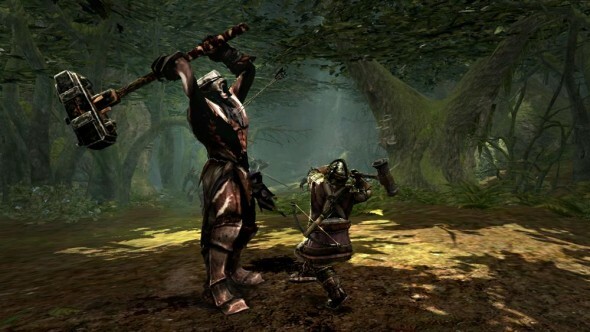 As he informs you of a hobbit that’s delivering a special package, the purpose of the quest in the game becomes clear as you’re instructed to provide a distraction for this hobbit and his companions by attacking Sauron’s general in the north. As you wander around the town before heading out on your first mission some frustrations make themselves clear as the game tries to give more of an RPG feel by including side-quests and NPCs to talk to, and this is quite simply fairly irritating. 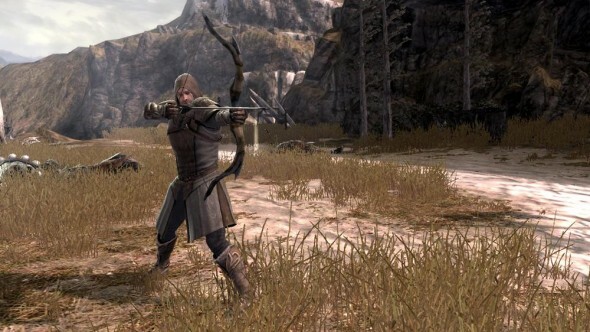 Perhaps modern games have spoiled us too much, and it’s hard to blame the game for what is essentially a lack of hand-holding, but the game doesn’t always make it clear exactly what you need to be doing. Tracking down your current objective and finding who you need to talk to isn’t always the easiest thing and is often outright confusing, leading to walking around talking to everyone until you find the person you were meant to interact with. I didn’t spend too much time wandering around, however, and headed towards the first mission where the real action started. As you leave the town you’re taken to world map which lets you select your next location/mission in an old-school “choose your destination” format. While the parts in town are boring and simply frustrating, when the game finally gets to the action things take a considerable step up. Before you start an area you’re asked to choose between the three playable characters all with their own standard strenghts and weaknesses. Once you pick a character you must play as them for the entire level, though you can go back and replay through with one of the others if you wish, and there’s nothing forcing you to stick with one of them the entire game. Of course you could play the game in co-op with a friend playing as one of the characters and it truly feels like this is the way the game was meant to be played. 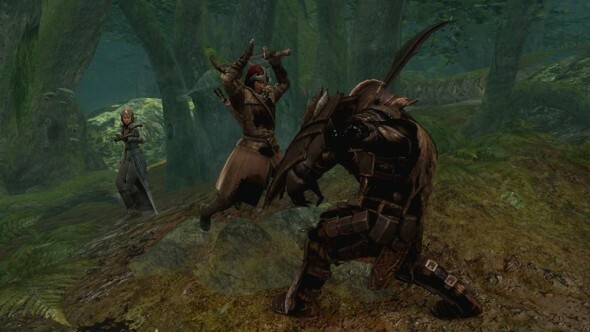 From here on the game is standard action RPG / dungeon crawler fare, though that’s not necessarily a bad thing. You wander the map killing enemies, completing objectives and smashing boxes and barrels to find the loot hidden within. While it most certainly is a very standard affair in this regard, it’s also very well done which is a definite plus for the game. 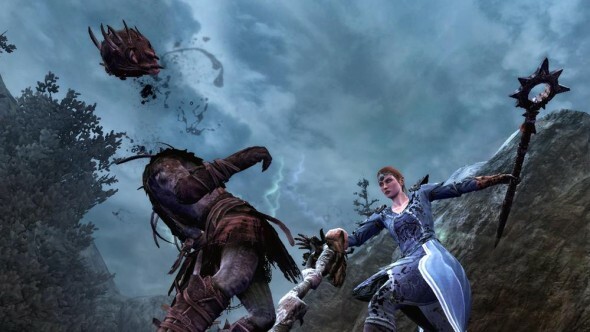 Combat is smooth and effective and the enemies are very clearly distinguishable between each other. You have access to the standard assortment of light/heavy attacks with the mixed button combos between the two as well as long range capabilities and magic, character permitting. The battles do feel like they can run a little on the long side at times and some of the enemies can take an absolutely ludicrous amount of hits before finally going down, but it’s nothing worth raising too big of a fuss over. When playing solo there are some areas that were clearly designed with co-op in mind and they can be a little frustrating, as while your AI teammates can generally stand their own in a firefight, they’re not the brightest fighters. Even when playing by yourself the game employs a “down but not out” situation when your health runs out, where one of your allies can come and pick you up, or you them. The computer is actually fairly decent about getting to you and picking you up, sometimes they’ll completely ignore the swarm of enemies around you and get constantly hit (which of course interrupts the revive) only to promptly try once more, over and over again. For many players, one of the defining features of a game like this is the loot system and this is once again handled in a fairly standard way but done extremely well. Of particular note is that different equipment actually appears on your character which, while ultimately pointless, is a nice touch and noticable effort was put into this as there is a fairly large variety of different looking gear. Also scattered throughout the map are a variety of different “challenge” areas that send wave after wave of enemies at you. These are nothing to write home about but provide an interesting distraction from the main game and serve well to provide an alternate means of grinding to level up rather than being forced to replay certain levels. 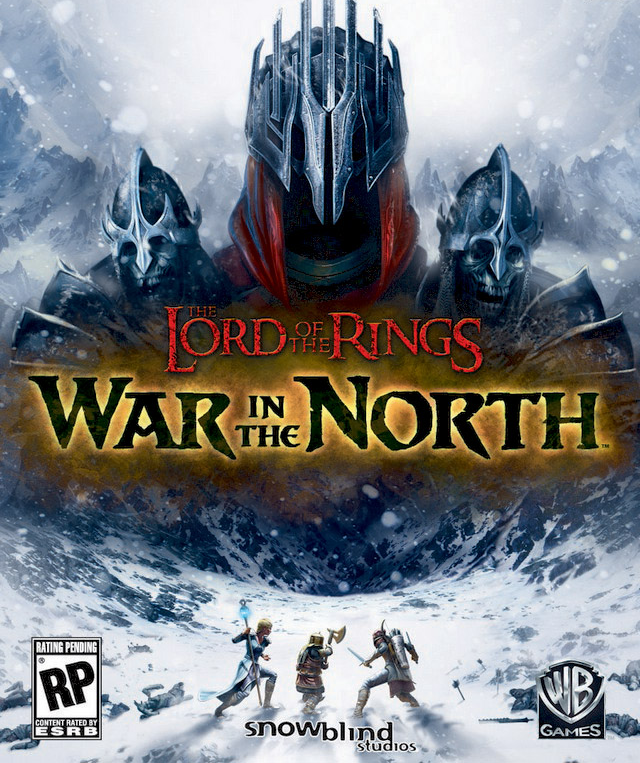 Lord of the Rings: War in the North doesn’t really do anything original, but that’s not necessarily a bad thing. Instead it focuses on doing the best it can with the variety of tools it decided to include in it’s arsenal and it does a very competent job all around. The game feels like it was designed with co-op in mind and the advertising made this fairly clear, but this serves only to make the game all the more frustrating when playing solo, so by all means plan on finding a friend to run through this with to enjoy the experience to the fullest. 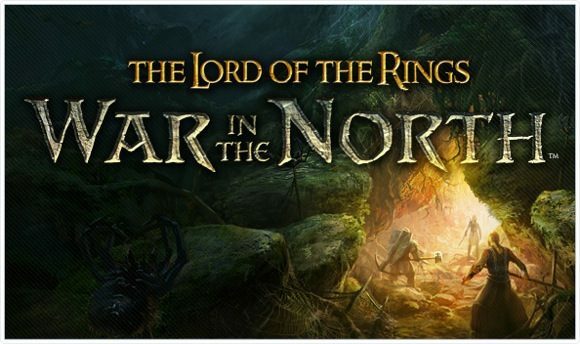 War in the North fits well as both a companion to the core Lord of the Rings series while not detracting, but adding to the lore, and presents itself as a very adequate action RPG all around. Sometimes the strongest option isn’t to try and be the best around, but just the best you can be, and I think they nailed that.